If you are looking for something fun and interesting to do but you want to leave New York, check out these cool things to do in NJ. You will have so much fun when you go to any of these attractions! One of the best ways to let go of stress is to find a cool thing to do. 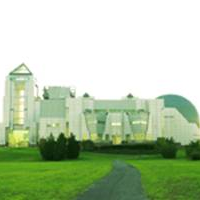 In New Jersey, you can visit The Stress Factory and say goodbye to all your stresses as you laugh the night away. This comedy club features many different comedians every night so you will surely find something that will tickle your fancy. The best nights in the club are Thursdays, Fridays and Saturdays but feel free to visit any day you feel like having a blast (except Sundays and Mondays). For over 20 years, The Stress Factory has been entertaining guests in New Jersey and this is surely one of the coolest places to go to in the area. You can check out the website to see the comedian of the night and at what time the show starts. You can also purchase reserved tickets online as well as gift cards in case you want someone else to go have all the fun. Adventure Aquarium is the fifth largest aquarium in the country and sits in the Camden Waterfront of New Jersey. It boasts a large collection of sea critters swimming around in a vast aquarium. Visiting it would be one of the cool things to do in the state of NJ. This aquarium is open to the public from 10am to 5pm and has daily activities like Hippo feeding and times to talk and meet the divers. 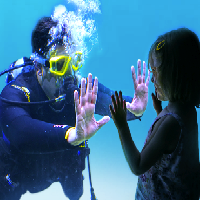 It will be a ton of fun for you and your family when you submerge yourselves in the adventures it offers. Visit their website for detailed schedules of activities and plan your next weekend watching the wonders of the sea. Six Flags Great Adventure and Safari in New Jersey has every ingredient for fun. There is so much to do it's considered to be on the top list of cool things to do in New Jersey. You can enjoy rides, shopping, food, and have the adventure of your lifetime in their up and coming Safari Off Road Adventure. If that doesn't interest you, then you can try their SkyScreamer and fly 24 floors off the ground instead. Wouldn't that be loads of fun? 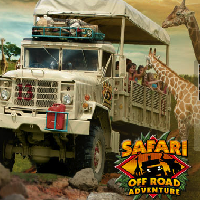 Six Flags Great Adventure and Safari has many promo offers so check out their website. If you are going there as a group for your next corporate outing, contact them to check for group sales on tickets and make sure that you will all have an unforgettable experience having intense fun. With over two dozen rides, attractions and slides, Mountain Creek Waterfront in New Jersey is definitely one of the cool things to do in the state. A total entertainment package for you and your family. 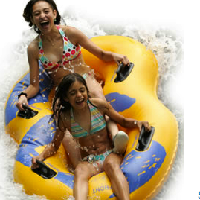 You can enjoy the H2-Oh-No speed slide or the whirlwind ride down the Colorado River in a wondrous mountain backdrop. They have many water activities that a day won't be enough for your contentment! Their usual operating hours are from 10:30am to 6pm but extend up to 7pm in the month of July and first weeks of August. They also have different lodging options if you're planning to stay longer. Check out their website for packages on stay-ins and the many activities you can do with friends or family. Yes, you've read that right. Have you ever done such a thing? Well here in Morey's Pier and Beachfront Waterpark, you can start your day with breakfast in the sky through their ferris wheel ride! Dine with family and friends up in the sky and enjoy the food and the view altogether. 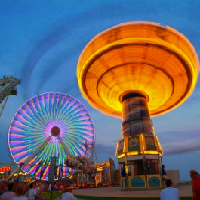 Being one of the cool things to do in New Jersey, a visit to Morey's Piers will definitely rock your world with the many activities and rides they offer. Book a longer stay if you can because they offer so much you would want to keep coming back for more! For an unforgettable New Jersey experience, visit the Casino Pier. 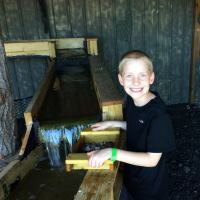 It's a family fun type of resort in NJ that offers many cool and exciting things to do all day. With over 40 exhilarating rides, there will be no boring minutes inside. 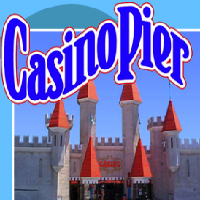 Casino Pier has also been recently renovated for more fun and adventure to visitors of all ages. Opening schedules vary depending on the time and day of the year so it's best to visit their website before you plan to visit. You can also email them to ask for more information. Go ahead and spend a day or two at the Casino Pier. Try your luck or enjoy the rides and make your day wonderfully exciting! 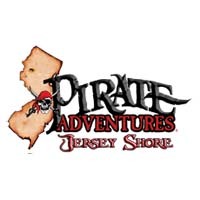 If you are tired of the usual things you do for entertainment and you want to look for an alternative cool thing to do in New Jersey, try the Jersey Shore Pirates for a fun and memorable pirate experience. Whether you are young or just young at heart, you will have an adventure here that will become something to remember for the rest of your life. Search for adventure, fight other pirates and get wet and wild on board their pirate ship. This is truly an event that's great for adults and kids alike. Ticket price is at $19 for pirates 3 years and above and $12 for those under. If you are going as a large group, check out their website for group rates and avail of big discounts! 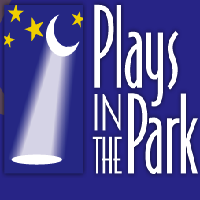 Plays in the Park in New Jersey creates spectacular production shows that entertain even the pickiest person. They produce full scale Broadway productions as well as shows specifically for teenagers and for children. There is total entertainment in every production this house creates. From local actors to new discoveries, they make sure that every performance moves the audiences. Their programs vary per season so if you want to check out the latest shows, visit their websites for schedules and ticket prices. They also have auditions open to the public so if you were totally moved by the last performance you've seen, why not try your hand on acting and see if the stage is for you. That is definitely one cool thing to do while in NJ. Tickets are sold on performance day only and their box office policy for price is at $7 for adults, $ 5 for senior citizens and children under 12 years old are free. 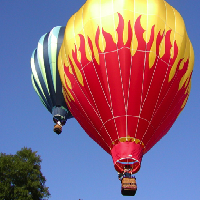 Balloons Aloft, Inc is a hot air balloon operating company that provides a one of a kind experience. Hop aboard one of their balloons and let the wind carry you far and away as you sip champagne and revel in awe of the beautiful horizons around you. Visiting Balloons Aloft in New Jersey is surely a once in a lifetime experience and is definitely one cool thing to do in the state. All you have to do when you want to fly in a hot air balloon is choose the date and give them a call to make the appointment. You can choose any date of the year as long as the weather permits flying. You're there and it's too windy? Don't worry, you can reschedule the flight at your convenience or if there isn't any other date for you, you get a refund of your deposit. Book now!